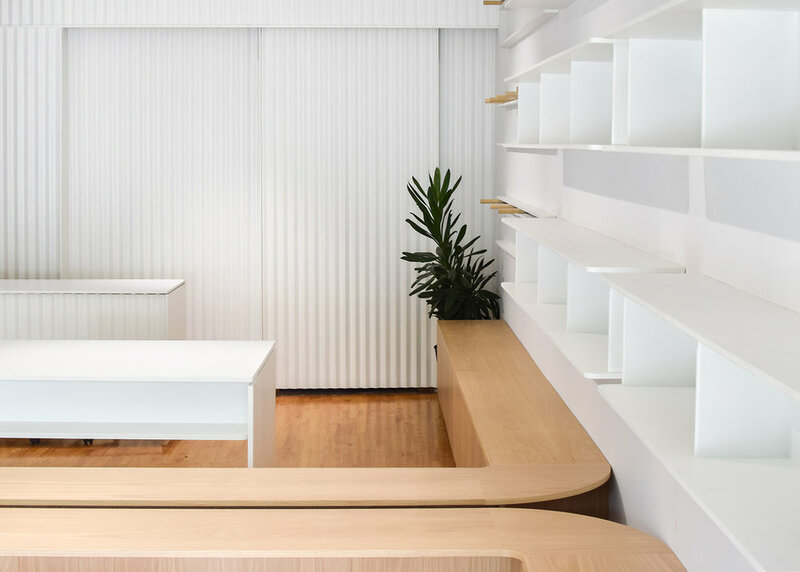 The new shop renovation of Milwaukee, Wisconsin based retailer Commonplace completes an overhaul of a turn-of-the-century neighborhood storefront into an ideal retail environment for carefully curated design objects and accessories. 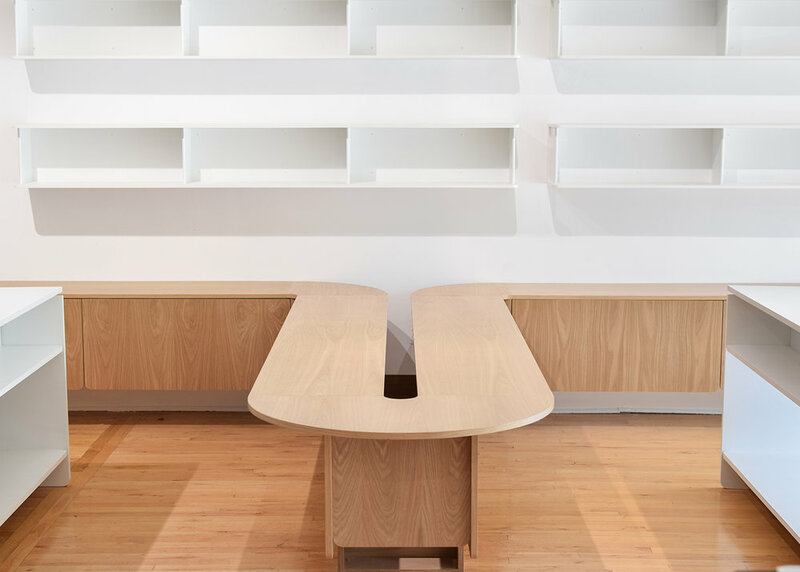 Anchored by a more than 40-foot long piece of custom white oak casework, customers are encouraged to snake through the shop to view products by following along its expressive geometry. White shelving stacks neatly up the wall providing additional product display space for the small shop. 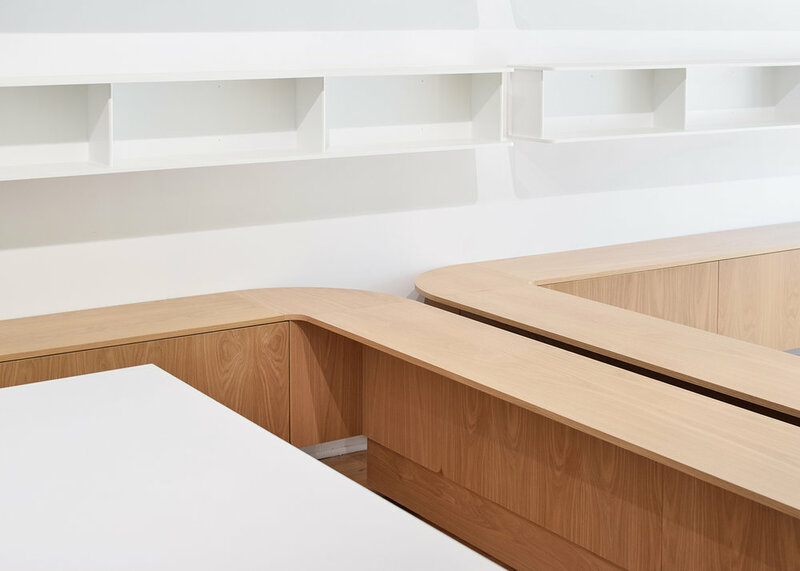 At the rear, a custom-fitted corrugated wall with concealed sliding door creates a subtle, but visually interesting focal point out of what was previously an underutilized area of the space. Visitors will also find the same corrugated texture and careful detailing carried through to the face of cash wrap for a seamless customer experience. © 2014-2019 TRETOW, LLC. All Rights Reserved.